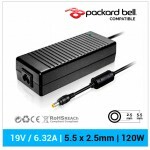 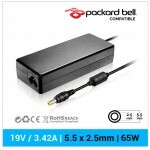 COMPATIBLE CON:PACKARD BELL COMPATIBLE | 19V / 3.42A | ..
PACKARD BELL TJ60 PACKARD BELL TJ61 .. 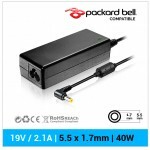 COMPATIBLE CON:Packard Bell EasyNote DT85-CT-005Packard.. COMPATIBLE CON:PACKARD BELL - EasyNote A5- Ea..